The woods runs alongside the A6 in High Lane, across the road from the Parish Church. It is divided into two by Alders Green. The southern side of the wood has been opened up and well maintained. 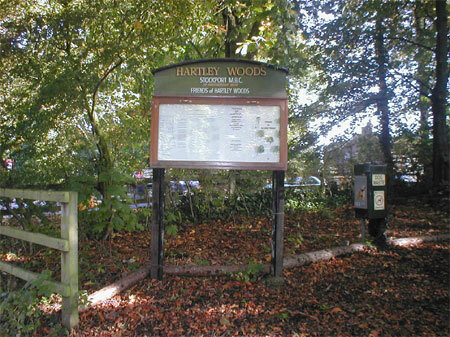 There is a path around the wood and the trees have been plotted and numbered and these are shown on a map in the display board on Alders Green. The trees are mainly deciduous and this is an unexpectedly peaceful walk considering it is next to the A6. The wood on the north of Alders Green has not had any work done on it and there are no pathways.